3 Tbsp. Desiccated coconut to roll in. Place all ingredients (bar coconut) into a food processor. Roll ingredients into balls with your hands, add a splash more water if needed – about 10-15 balls. 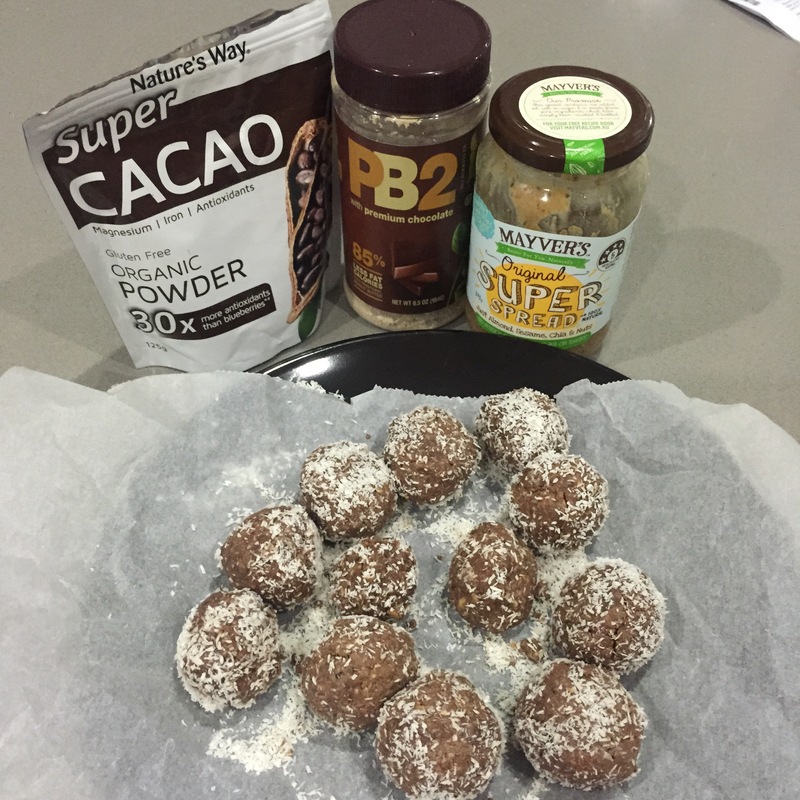 Roll balls into desiccated coconut. 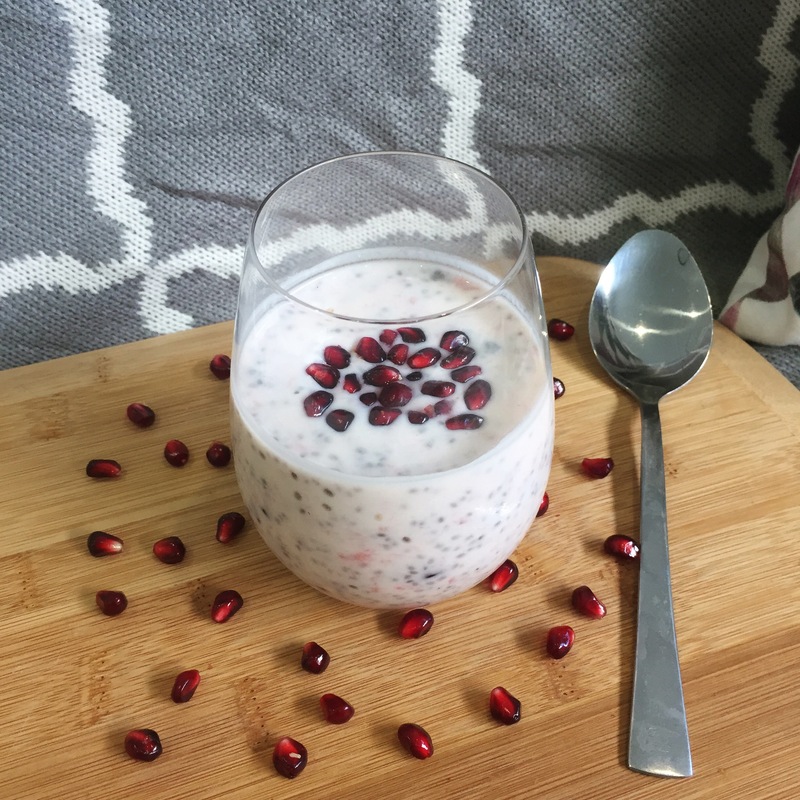 5 days of Chia Pudding, Day 3 – Pomegranate & Strawberry yoghurt Chia pudding. Serve in a cup or bowl and add more pomegranate seeds on top. 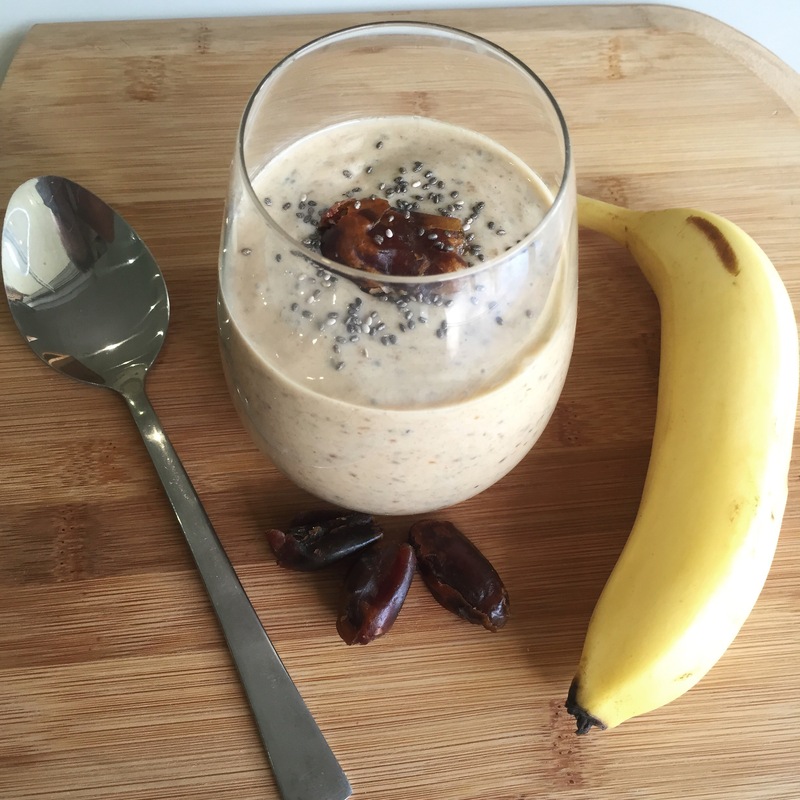 5 days of Chia Pudding, Day 2 – Banana & Date chia pudding. I used my NutriBullet but any food process will work- add Banana, Dates, Greek yoghurt, coconut water & maple syrup and mix till smooth. Serve in a cup or bowl and add banana pieces on top.